Blurb:I have no idea whatâs happening to me. If that wasnât bad enough, now her ruby slippers magically appear on my feet, and slowly, Iâm becoming her. Now I need to get to Emerald City and see the Wizard if I want to stop the transformation and return home. But the yellow brick road is no cake-walk, and I donât know what Iâll find at the end of this journey. Luckily, I have three brothers I meet along the way to help me on my journey. Each of them is vying for my affection, as if it doesnât matter that my skin is turning green. 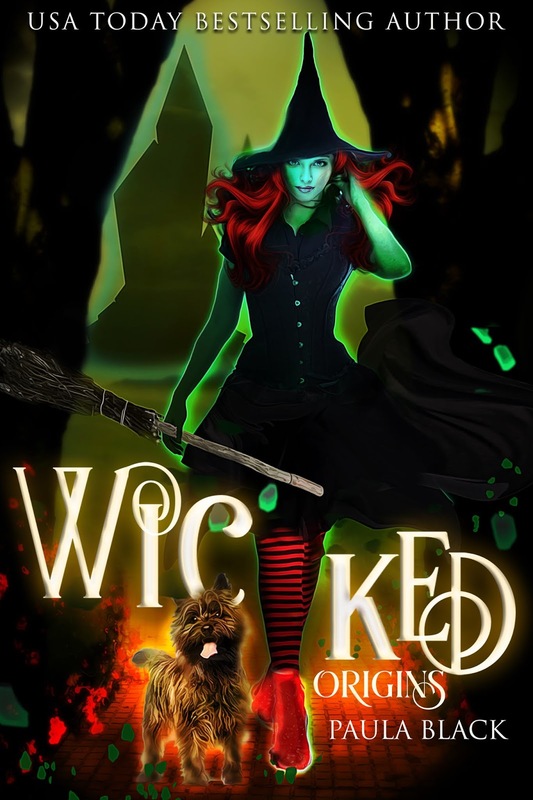 Wicked Origins is a modern YA Reverse-Harem Fantasy Retelling of L. Frank Baumâs original Oz tales. 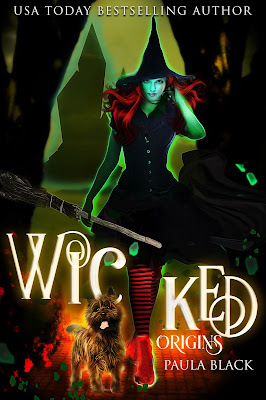 Paula Black is a USA Today Bestselling Author who wears many hats - and none of them is a night cap. Running on tea, Kpop, and sheer adrenaline, she battles monsters and witches with little to no sleep. She is the sleepy panda who loves to cuddle with boys, dogs, cats, and other pets. There are days when I feel like the whole world is pressing down on me, keeping me pinned where I am. But right now, itâs a manâs weight that pins me to the bed of his pick-up truck while I search the night sky, looking for a way out of this emptiness in my chest. Heâs kissing my neck, and his hands are inching up my waist, pulling my shirt up, exposing my hot skin to the cool night air. Finally, his thumbs play along the bottom edge of my bra and he hesitates, wondering if Iâll stop him. I consider it. Iâm really not feeling anything for him. Iâve let him kiss me until my lips are sore and swollen. Weâve swapped saliva, and heâs trailed more of his own down my neck as his fingers explored my waist and lower back. Itâs been a great escape. Itâs made me feel somethingâ¦ but barely anything more than soreness and pressure and heat. At least his body is keeping me warm on this chilly night in April. And my mind wanders again. âWill you go to prom with me?â Charlie lifts his brown eyes, and they meet mine in the pale light of the silvery moon. I blink at him. Iâd almost forgotten he was there. Iâd hardly noticed that heâd stopped at my bra without me even telling him to. Slowly I push myself up to a sitting position and pull my shirt back down. I meet eyes with the boy Iâve been making out with for the past half-hour. Heâd asked me out and Iâd accepted, but when he said heâd wanted to go to a movie and get dinner, I suggested we come out to the cow fields and make out instead. Of course, heâd agreed. Boys always did. The cows have begun mooing in the distance. The wind picks up and brings with it the scent of the cattle from several hundred yards away. Unpleasant. But again. At least it gave me a feeling, even if it was a bit of revulsion. A smile spreads across his lips, and he moves in for an awkward kiss. Our teeth clack together, and he stops, a blush filling his cheeks. I have geometry with Charlie. I donât even think I know his last name. Itâs my senior year, and Iâd had yet to go to a homecoming or any dance for that matter. I guess I should at least try to go to the prom. âDo you want to continue what we started?â Charlie asked, gesturing toward the blanket. âI forgot I have homework. I need to read Beowulf.â I stand and dust off the back of my black, slim-fit jeans. The cows have drawn closer, and the smell becomes more pungent. And the starry sky darkens in the west where storm clouds gather. He nods and gathers up the blanket he had spread out in the bed of the truck. His shoulders are drooping a bit, and I know Iâve disappointed him.